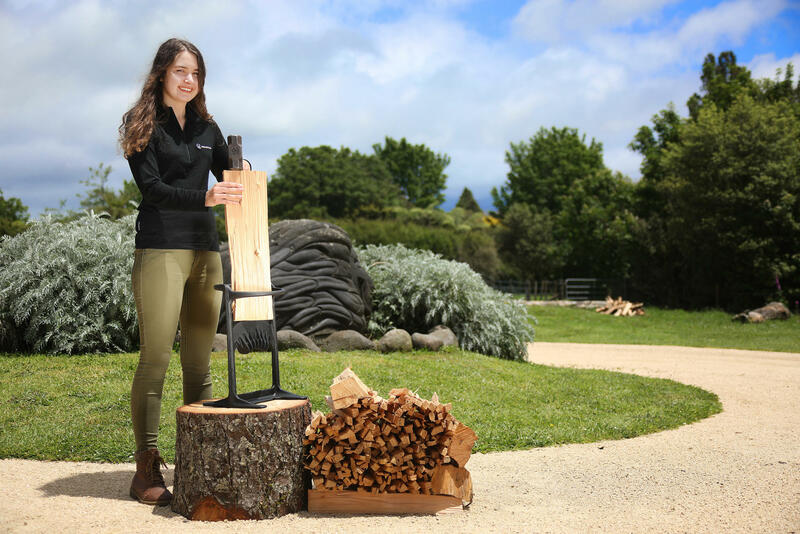 Here you can see the young and talented inventor Ayla Hutchinson from New Zealand that invented the Kindling Cracker. The product started out as a school science project at the age of 13 and it is now sold all around the world. 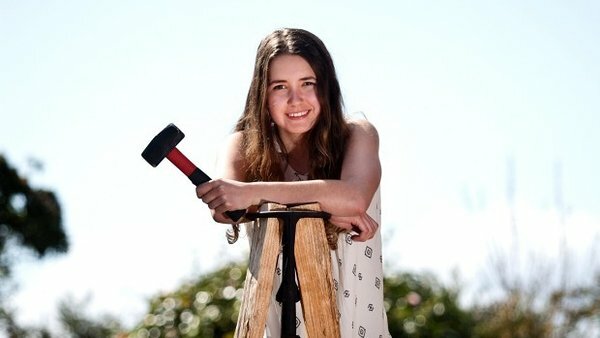 It is pretty amazing that it had to take almost 5000 years of cutting wood with an axe before a young lady from New Zealand came up with the idea to turn it upside down instead. Both young and old can now safely cut wood without the risk of cutting themselves. Hello. My name is Ayla Hutchinson, I am 17 years old now and I live in Taranaki, one of the most beautiful places in New Zealand. If you don't know where New Zealand is, we are close to Antarctica and part of Australasia in the Southern hemisphere. I enjoy playing netball and basketball, hanging out with my family and friends and enjoying nature. Although New Zealand is a tropical area, it can get VERY cold in the winter. Taranaki is the name for our mountain and our region. When Taranaki is covered in snow, it is time to light the fires. When you are cold, you can never get the fire going fast enough. Lots of little kindling helps fires to start quickly and this is why I invented the Kindling Cracker (that, and to make sure my mum kept all of her fingers and limbs intact!). The Kindling Cracker started out as a school science project at the age of 13 and it is now sold all around the world with the help of my amazing family and some really cool distributors. If you are like me, you don't like being cold, you need a Kindling Cracker. I hope you are enjoying your Kindling Cracker. You don't have one yet? Why not? Just click HERE to go to our 'Buy Now page' to order one. Please write and tell us how you like it. Stay warm!